Winamp 2 plug-in that display the cd-cover and the tags of the played file. 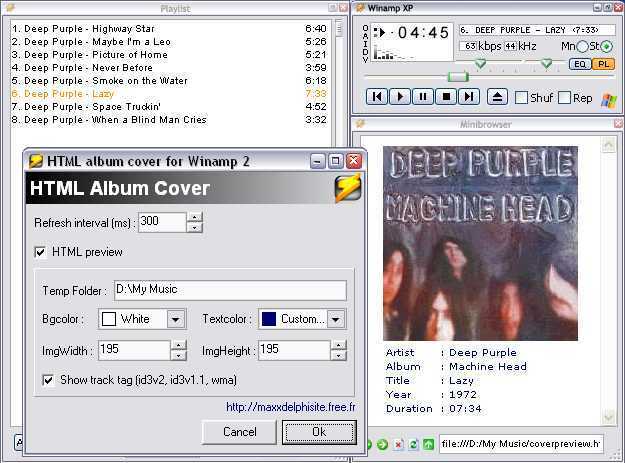 The cd cover must be in the same folder as the played file and is shown in the internet browser of winamp. you can choose to show tags or not. HTML : the picture is resized --> you can personalize the size of the picture, the background color and the text color. No update for Winamp 3. WA3 is too long to load and i don't like it.